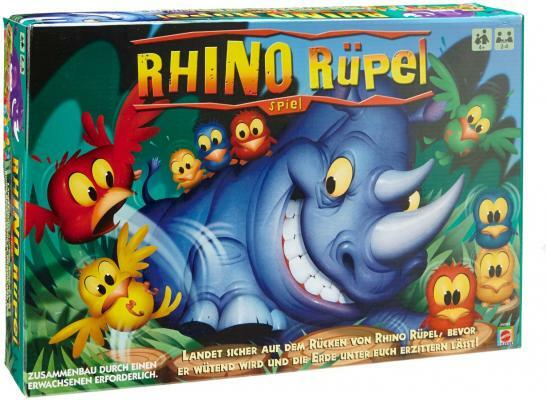 Rhino Rampage Game Skill and action game for kids! Neat, animal theme. Skill and action game for kids! Neat, animal theme. 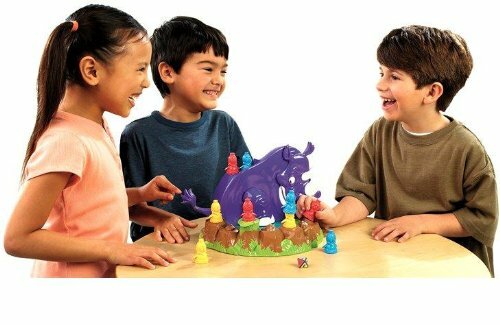 The Rhino Rumble kids skill and action game features an exciting animals-in-peril theme, where the object of the game is to get your birds to safety atop the rhino's back. 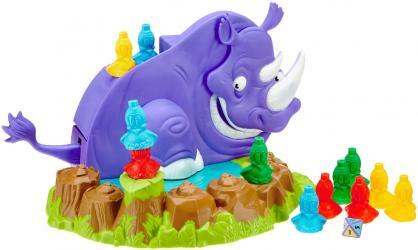 The rhino might rumble at anytime causing the birds to fall off. You have to watch out the rhino's rumble might set you back. It is a game of chance and excitement.